Panorama journey across the peninsula of Pelješac takes us to Ston, the western fortified border of the Republic of Dubrovnik. During your sightseeing tour you will be slowly introduced into the history of the town, the defence frontier of the Republic. Then we come to the place situated higher up from the Old City of Dubrovnik, where a beautiful view is in front of you, not only of Dubrovnik but also of the island of Lokrum and Elafiti islands in the distance. 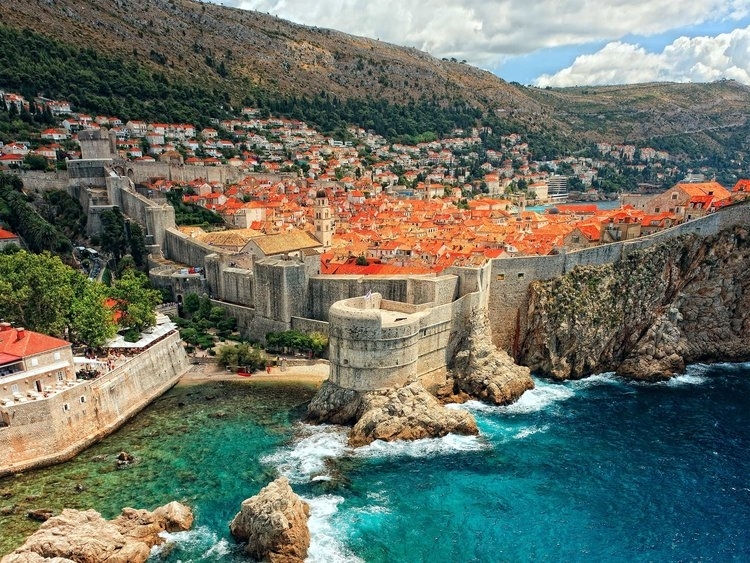 The view of the old nucleus of the Dubrovnik town will leave you breathless, the town that was, for a long period of time, the symbol of prosperity and progress. It had one of the largest trade fleets on the Mediterranean Sea and, as such, was an unavoidable partner inthe European commercial and political affairsof that time. This undefeated town, with a diplomatic web that many of today´s “modern“ states would be proud of, was the centre of one “small“ Republic which preserved its independence and existed for 450 years. Discover with us the town listed on the UNESCO World Heritage List, surrounded by powerfull walls and fortresses that has been dominating this area for centuries.The sightseeing tour of the Old Town starts at the beautiful main street of Stradun. There you will be able to see Onofrio Fountain, the Franciscan Monastery with the oldest pharmacy in Europe, Orlando`s column, te Cathedraland other values of this ancient, proud town.After the sightseeing lunch is optional in one of the town´s restaurants. On our way back we will stop in one of the wine cellars on Pelješac for winetasting.